Together, Oscar Gaetan and long-time friend and production partner Ralph Falcon form MURK, one of the most celebrated and accomplished production outfits ever to grace house music. Standing shoulder-to-shoulder with seminal artists such as Danny Tenaglia, Junior Vasquez and Blaze to name but a few, MURK soon established a unique sound and have, over the last 20 years, cemented their legacy as producers of the very highest order. 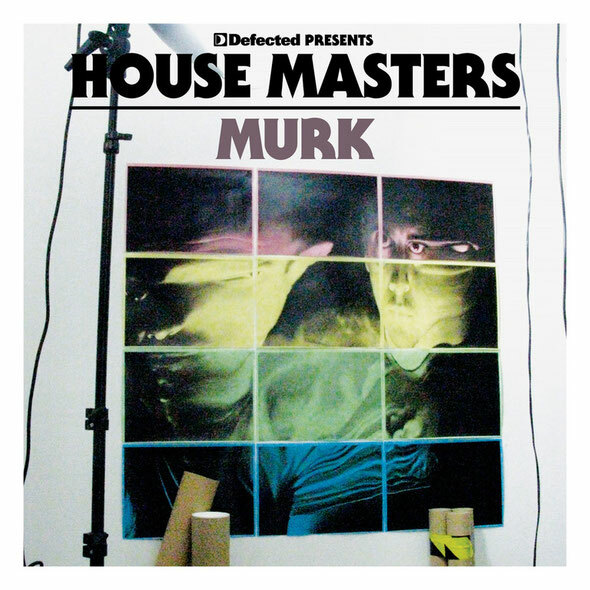 Despite their undoubted quality it’s a fairly safe bet that a fair few people – house devotees included – are unaware of just how influential MURK became, due in part to their frequent use of aliases when releasing records, their pseudonyms Funky Green Dogs, Liberty City and Interceptor amongst many others arguably better known than the name MURK. It was these names however, that provided a murky cloak for these anti-heroes of house to continue in relative anonymity with what they undoubtedly did best; creating truly timeless and unforgettable house music. Already responsible for tracks such The Fog’s ‘Been a Long Time’, Funky Green Dogs ‘Reach For Me’ and Liberty City’s ‘If You Really Love Someone’, it was MURK’s explosive anthem ‘Fired Up!’ (1996) which placed them firmly – if reluctantly – in the spotlight, topping the Billboard Dance chart in the US and serving as a platform from which they would go on to remix countless major pop artists, from Madonna to Cher to Donna Summer. With infrequent output and fastidious attention to detail, a MURK record has always been a rare event; no bad thing when you consider the amount of poorly produced and disposable music now cluttering up the digital shelves of download sites around the world. Equally, in an industry that has a sometimes tendency to pay attention to those who shout the loudest, Oscar and Ralph’s utter focus on substance over style comes as a welcome relief. In 2011 MURK spectacularly returned to the fore with the release of ‘Amame’ under their Intruder guise; a track championed by the likes of Kerri Chandler, Dennis Ferrer, Seth Troxler, The Martinez Brothers and even Ricardo Villalobos. It was the stand out underground track of Ibiza last summer and ensured that all those loitering around the booths of DC10 and beyond were enquiring of its story. With their MURK Records imprint reaching its 20th anniversary in 2012 and Oscar and Ralph touching down in the UK to play London’s Ministry of Sound on 11th February for the first time in recent memory, the timing could not have been better to crown this most deserved of duos official House Masters. Here, Defected present 20 of their best-loved tracks and remixes (unmixed) in an collection of some of the most enduring and evocative house records ever created.